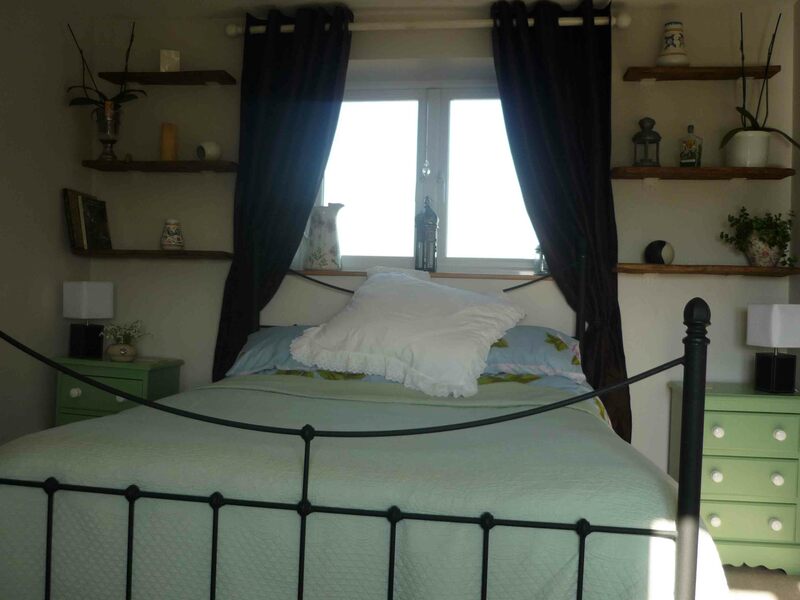 'THE MERLIN STUDIO'- This part of the accommodation is exclusive for your use. 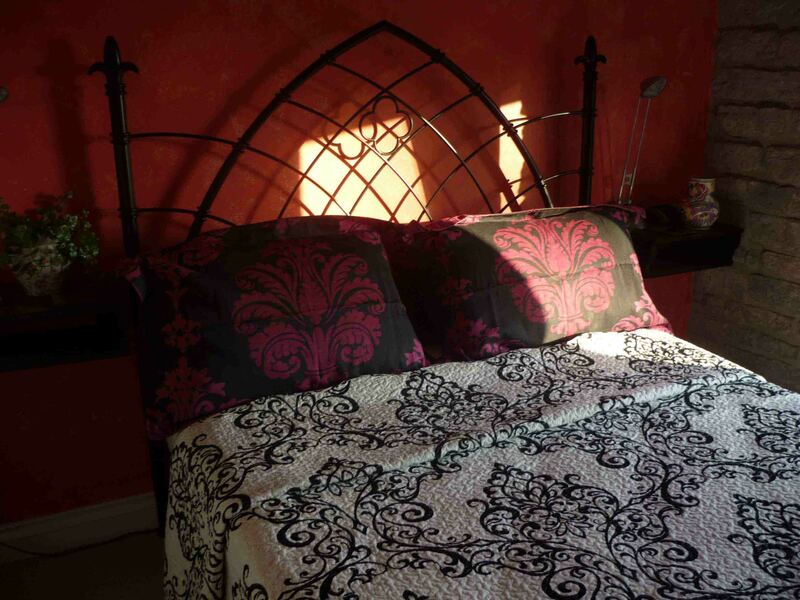 It consists of a double en-suite room(double bed) with wonderful views and adjoining shower room. Downstairs you have a lounge with sofa bed for one extra guest should this be needed and the use of cooking facilities. Breakfast can be taken in the main part of the house or served in the studio. Dicounted rates apply for 2 or more nights - please telephone for best rates. 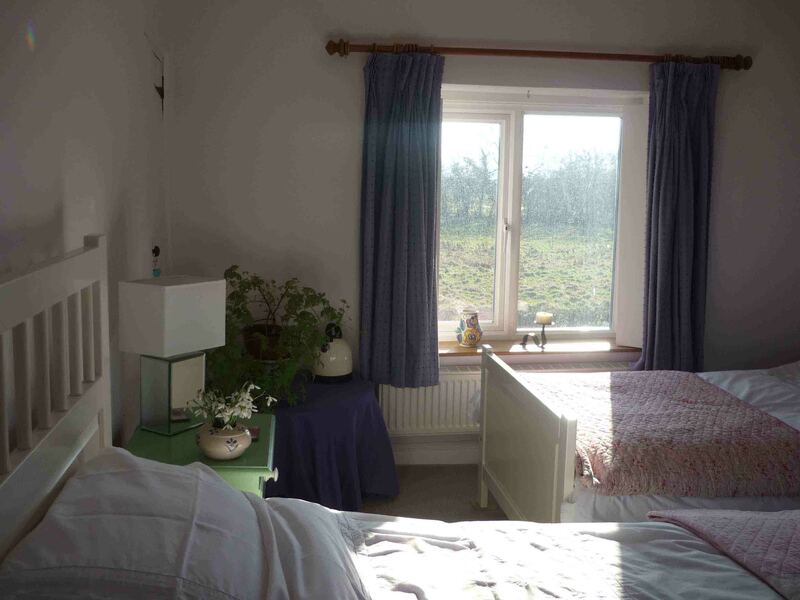 'THE LANCELOT ROOM'- This is a large twin bedded room (two single beds), with double aspect, far reaching country views. The bathroom is shared only with the 'Guinevere Room' There are tea/coffee making facilities. 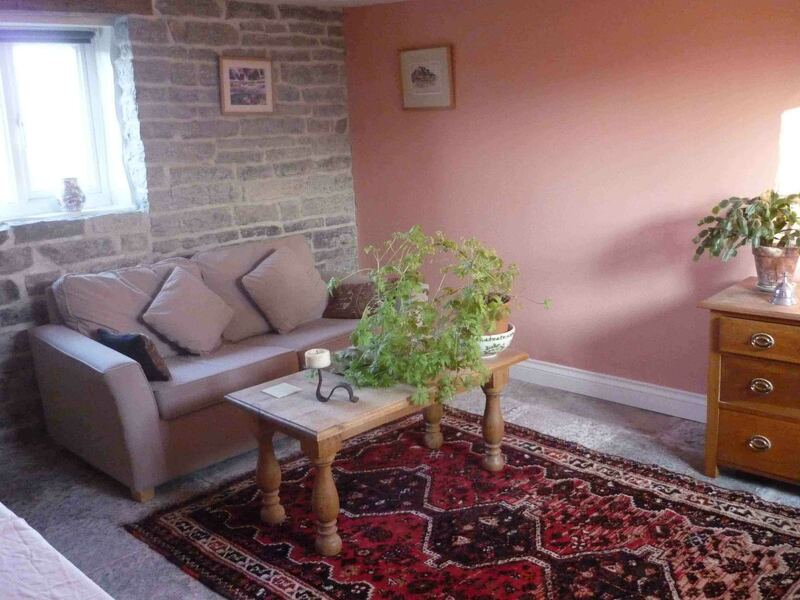 'THE GUINEVERE ROOM'- This is a double room (double bed), double aspect room again with far reaching country views. The bathroom is shared only with the 'Lancelot Room'. There are tea/coffee making facilities.